The Movement concludes on its final week of the Me Too Movement Month of May. 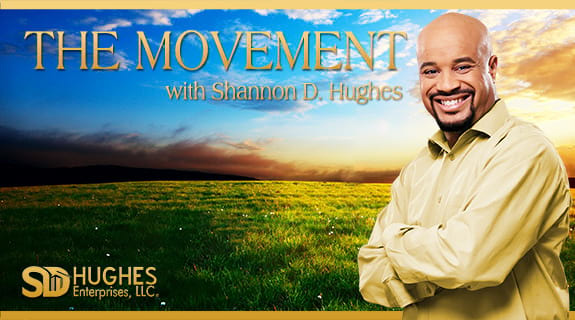 Join host Shannon D. Hughes as he talks to 2 more dynamic women. Alysa Rushton is a Master Certified Public Speaking Instructor and high-end sales coach who teaches heart-centered entrepreneurs how to craft, package and promote their authentic awakened message and shine their light so they can share their unique message with the world. Also joining The Movement is Las Vegas’s most in demand DJ Keutmany Chansilaphet A.K.A. DJ KIKI. Her passion for music runs in her blood. A DJ, Model, and Emcee has made her one of the most in demand talents out there today. Both ladies will talk about their paths to becoming tops in their professions. Also what it’s like being female entrepreneurs and their thoughts on the current women’s movement. Women’s global business leader… who’s known as The “6 & 7 figure Women’s Voice Igniter,Alysa is the founder & CEO of Magnetic Messenger’s Academy and the creator of wildly popular programs like Get Clients With Speaking, My Infinite Abundance, Charge What You’re Worth and Get It and Profitable Workshops That Rock just to name a few. Alysa’s clients and students go on to do great things like, quickly make 6 and even 7 figures, publish books, speak on TED stages, become featured experts on the news and more.Alysa will inspire you to shine your brightest light, activate your highest vibration and get your message out to the masses in an ultra-authentic way, while creating amazing new income.